The phrase “Prayer warrior ” is thought of as a Christian who prays effectively for others or “makes intercession on behalf of others “. People think a prayer warrior is one who has special calling to make intercession for people or the church . In many churches ,these people are those who help to pray for the church ,the pastor, the audience and sick people in the church . Contrary to the generally accepted definition of who a prayer warrior is ,the biblical inference is that “every Christian is a prayer warrior“. Being prayer warriors mean we are engaged in a spiritual battle with the devil . The fight with Satan is a spiritual one hence no physical and tangible weapons can be effectively employed against him and his minions . In Eph 6:13-17,we are admonished to wear the full armor of God and pray in the spirit on all occasions.It is clear that if we follow these instructions faithfully ,we shall be able to stand against the devil . WHY YOU MUST PRAY ! There are several biblical proves that shows why we all must pray. Every Christian has been called and part of the calling is to pray (warfare ) against the devil . 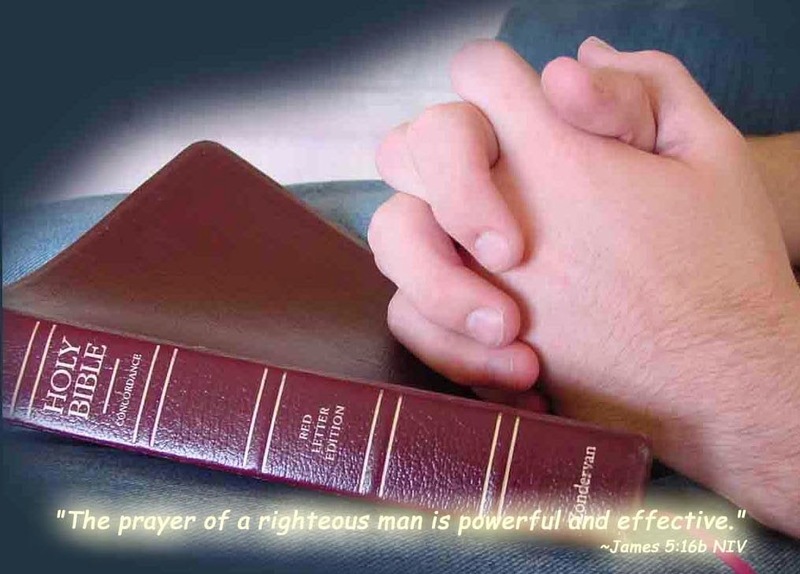 Jesus was a prayer warior.Many men God used in the bible were men of prayer.Prayer is a neccessity for every believer. I remember memorizing 1 peter 2:9 and reciting it several times “But you are a chosen people ,a royal priesthood ,a holy nation “.. Normally i would emphatically say am chosen by God and peculiar in his sight and leave the rest . If we believe we are chosen by God and are special to him ,then why can’t we believe we are priests ? Priest are prayer warriors ! They make intercession for people in authority ,nations ,sick people ,etc .Jesus himself is considered as the high priest . Prayer is a means of communication between humanity and deity .Meditation is when God speaks to us .Prayer is in fact the only means we can speak to our maker . 2.The devil is the god of this world . Jesus warned his disciples in john 15:13 that they should not be surprised if the world hates them ,because they are not it’s own . The world hates us because we belong to God . The devil is described in 2 cor 4:4 as the god of this age or world . When Adam sinned ,man became joint heirs with the devil . He became the god of this world . How can you live comfortably in a world that your enemy the devil is god over .So far as we live here on this earth ,our battle with the devil never ends . Our spiritual battle is with unseen beings .No wonder we are asked to put on the full armor of God( Eph 6:13). With all the armors paul mentioned ,the only offensive weapon is the sword of the spirit which is the word of God. The only way the word can be put to effect is when we pray according to it . If we fail to pray according to the word,we would be like the man having a gun loaded with bullets but failed to use it. The only means by which the sword of the spirit can be put to use is by prayer . 3.The trilogy of salvation . Salvation is in three folds : Spiritual salvation ,mental /soulish salvation and final redemption /physical salvation . We are saved . If you are born again ,then you have been saved .when we got born again our spirit was saved and not our minds or body (2 cor 5:17),that is why we still had the same attitude ,mindset ,and did the same old things even after we got born again .Because our minds was not change ,it remained canal . In addition to the spiritual redemption ,we are also being saved by the continuous renewal of the mind (Rom 12:2). Praying according to the word of God renews the mind .Renewing the mind first starts with recognizing or having awareness of our wrong doing .Until the mind is renewed ,it would not submit to the laws of God . The final redemption which is the salvation of the body is what all Christians await to be joined with God in freedom from death and decay (Rom 8:23). I think because of the way we view prayer, it makes it very difficult for us to pray. If we see prayer as a time to talk to God. It becomes easy and exciting . Its like talking to your best friend. When you speak to him like the way you would have spoken to anybody else about your issues it becomes very exciting. Every christian is been called and part of our calling is to pray. We are called to pray. Paul ,in Ephesians 6:12 enumerated the basic requirement and weapons of a christian for this warfare . He points to the fact that we are in a war, not with flesh and blood but with principalities ,rulers of darkness etc.Hence there is a need for every believer to be on guard. He prescribed the appropriate regalia and weapons we are to use in this warfare.Then in verses 18 he concluded by saying “pray in the spirit with all kinds of prayers…”.That actually makes us “prayer warriors”! !Think about it. Every christian is a prayer warior !! Previous articleWHEN THE BROOK DRIES UP ! I’m thinking of writing a blog post in response. Would you mind if I url to your website from my article? AFRICAN RELIGION OR IDOLISM ?